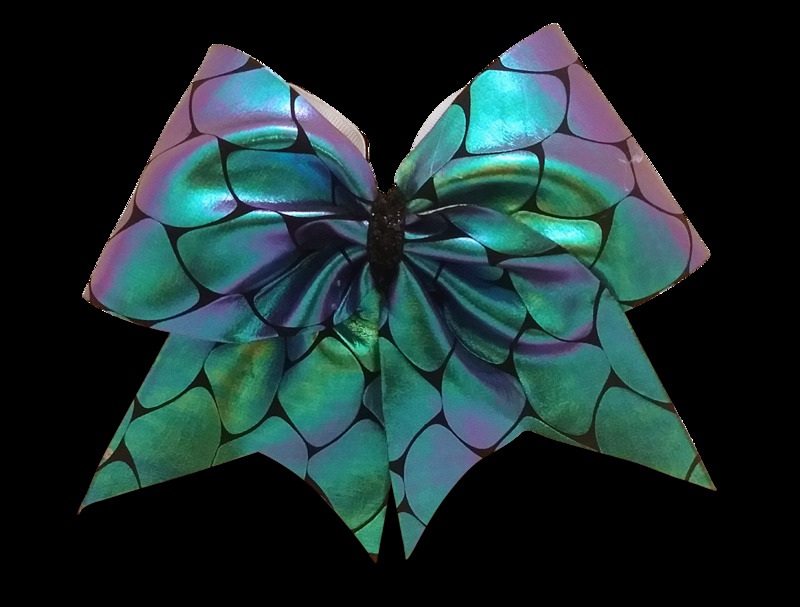 The iridescent colors in this bow work well with purple, aqua, teal and green. 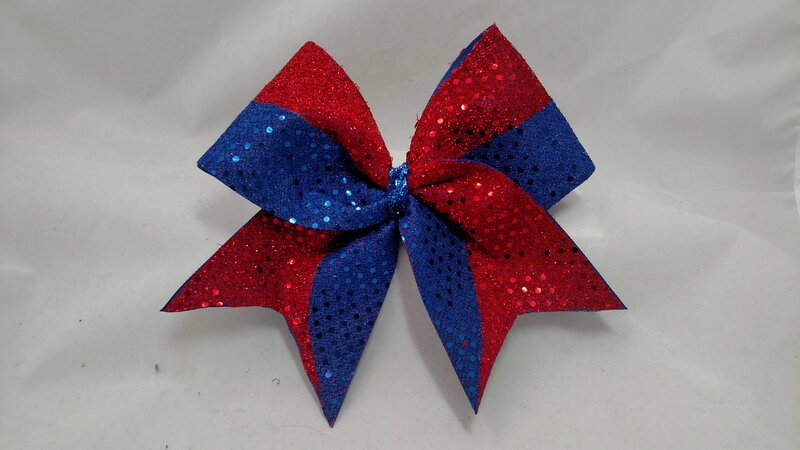 It's a shiny cheer bow, great for practice wear or special themes. Need something really special? Email cheers@cheerfulideas.com for quote.